Thirteen years ago, Dolph Ramseur left the tennis court to start his own independent record label, Ramseur Records. He had no real experience in the music industry, but was armed with a deep-seated passion, blue-collar work ethic, and relentless determination–three key ingredients for success in any industry. Today his roster includes bands like The Avett Brothers, Langhorne Slim and The Law, Bombadil, Paleface, Jim Avett, David Wax Museum, Carolina Chocolate Drops, and Samantha Crain. After over a dozen years in the business, Ramseur still maintains a humble demeanor, a sweet southern charm, and a homegrown love for music. Simply put, he is a fan just like the rest of us. EOAF: Good morning Dolph, thank you for taking the time to chat with me. Briefly, what is a typical day like for you? Dolph Ramseur: Well, I get about 250 emails a day, and then on top of that, mix that with phone calls and instant messages. But, it’s really just sort of making the foundation for the artist, building upon that, trying to see what is coming in the future, what’s down the pipeline and plan for that accordingly–whether it’s tour dates or recording. EOAF: So are you pretty hands on with promotion and booking for some of your lesser known bands? DR: To a certain extent we are. Some of our acts don’t have booking agents so we have to find shows for them. But then the ones that do [have booking agents] we help out with the promoters, and getting the word out about shows and when do tickets go on sale, and how do we promote these shows, and what kind of Facebook ads are we going to take out, and what should we post on the website. There’s a lot of moving parts. EOAF: Do you have a fairly large staff to do this or is it still a pretty small operation? DR: Well, we are still small. I have an employee in Nashville, one in Los Angeles, and then one in the Winston-Salem area, and I am in Concord, NC. EOAF: So you are still working out of your house? DR: Yes, we all do that. DR: Yeah, we’ll its got its advantages and pitfalls, as anyone who works out of their house will tell you. EOAF: That type of flexibility sort of allows you to move where you need to go. Do you often get on the road to support your musicians? DR: Yes, although I can’t do it as much as I used to, just because it’s so busy on all aspects of what we do. But, yes, I get out quite a bit. EOAF: What would you say over the past year has been one of your highlights of being at a show? DR: Well the two shows with The Avett Brothers at Red Rocks this past year were great. Seeing The [Avett] Brothers down in Atlanta in front of 12,500 people was pretty special as well, because I was at the first show when the guys played in Atlanta. You know you go from playing to 50 people to 12,500 and you see the growth of the band. It’s pretty amazing. EOAF: Does that shift ever seem overwhelming? Do you ever ask yourself, “How did we get here?”? DR: Well, I know kinda how we got there. It was a lot of hard work, and a lot of talent from the band. I feel like we’ve got one of the best fan bases in the world. So, you mix all three of those things together and some special things can happen. But in some ways I’ve lost scope of maybe how big it is, and maybe that’s a good thing. I mean, I saw the guys play to 8 or 9 people in Charlottesville, VA 10 years ago and they put on the same show to those 9 people that they did at their last show in Charlottesville to over 4,000. So, I think we all have blinders on when it comes to that. We are thankful that we have that kind of crowd, but it’s not something that we, I mean, it is what it is. EOAF: Now some of the bands that I believe you have on your roster now were introduced through your relationship with The Avett Brothers. Do you kind of keep an eye on their opening bands as a way to find new talent? DR: It just depends. I find them everywhere. EOAF: Are you actively looking for new talent, or do you feel like you are pretty much at capacity at this point? DR: Well, we are pretty full, but you never know what you might come across that strikes us. That’s sort of a hard one, you know, because you just kind of get bit by the love bug on it, so I just don’t know. EOAF: You’ve probably served as a mentor for the musicians that you manage, but do you also serve as a mentor for your staff? DR: There’s a lot of give and take with my staff. I always had the saying, ‘big team, little me’ so we always learn from one another. I’m learning something everyday at this job. So, we share the knowledge of this, and I think the main thing that we are trying to do is to have fun doing this, because there are so many people working jobs that hate their jobs. My staff and I are really lucky because we are doing something we really love and have fun doing. As far as being a mentor, I’m not sure. I think we are all in this together, so it’s not necessarily that kind of role I’m playing. EOAF: As a manager, how would you define your job. What are the important qualities that you think have led to your success? DR: I guess, well, you see in some ways I don’t even feel like we are in the music business. I’m in The Avett Brothers business. I’m in the Carolina Chocolate Drops business. I’m in the Bombadil business, the Langhorne Slim business. I feel like all of these acts we work with are all handmade kind of acts. They are all unique. They are all different from the norm. It’s tough for me to answer. I’ve been at this now for about 13 years and I had no experience of it before getting into it, so maybe I had no bad habits and I didn’t know the pitfalls necessarily. We kind of just went by the seat of our pants. But, you know, I’m from a very blue-collar family, so I’m just a hard worker first and foremost. I show up everyday, and I care. If you show up everyday and you care about what you are doing, it’s almost hard not to have success, because there are so many people not showing up with that passion. I can’t speak for those folks, but we just take a lot of passion and pride in this, and I want everybody on the planet to hear these acts. EOAF: That passion and that gut feeling you get when you find a new artist, or hear someone like Langhorne or Paleface, does that feed into your decision to bring them on? Would it be difficult for you to represent someone who you didn’t have that feeling about? DR: Yes, it would be tough. It just wouldn’t be fun. EOAF: You’ve said in other interviews that you are really just a fan of music, and that is kind of what got you into this. Do you think your musical tastes have evolved since staring Ramseur Records 13 years ago? DR: Well, I’ve always been left of center when it comes to music, so I like all forms. If anything I get jaded because I hear so much stuff, and it’s hard to digest so much music that’s coming at me sometimes. My father was a big Johnny Cash fan. He was a big Hank Williams Sr. fan. He was a big Roy Orbison fan. He loved The Platters. He was a big Pavarotti fan. My father is about as blue-collar as you are going to find. He didn’t go to college, real hard-working fella. So, he exposed myself and my sister to a lot of different kinds of music. So maybe I get that a little bit naturally. He also had a thing when it came down to gospel music, he would rather have someone who was not a great singer but put a lot of heart and soul into it as opposed to a great singer who was just going through the motions. I learned that early on from him. I don’t know how much my tastes have evolved, because I just like so much stuff. EOAF: You grew up surrounded by all of that great music. Do you actually play an instrument or sing? DR: No. I do not. I keep telling people that I am one of the world’s greatest musicians, I just haven’t found what instrument will get it out of me. I do not play, and I think I learned that from tennis. I taught tennis at country clubs and I went to college for tennis and I kind of lost the passion for that because I did it so much. I’m almost glad I don’t play an instrument, because it kind of keeps me from overloading too much. EOAF: When you started Ramseur Records, did you start it with the intent of putting out albums and being a manager, or did that combination evolve over time? DR: Yeah, it kind of evolved. Again, I really didn’t know what I was doing at all. EOAF: And starting the label came out of a relationship with Martin Stephenson? DR: Yes. Martin had gone through the whole gambit of the industry from being an independent artists who got signed to a major label. Martin, very much like The Avett Brothers, never had radio success, but he was selling thousands of tickets in the UK, and really doing well. 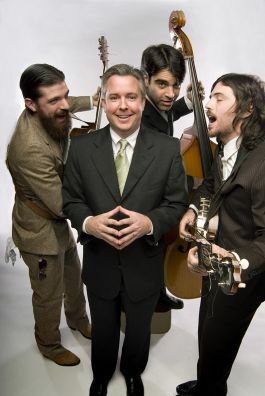 He had a very similar story to what The Avett Brothers have going on, where they have kind of danced around mainstream success but sort of still stayed under it. That’s kind of what Martin did. So, I learned quite a bit from Martin and he is very similar to The [Avett] Brothers and he’s got the same gift they’ve got. EOAF: How did you meet him? DR: That kind of goes back to me being a music fan. He had left major labels and went through the indie route and was putting out records on his own, and I reached out to him. He noticed I’m from NC and he’s a bit of a fan of music from this state, like Doc Watson and Charlie Poole and the Piedmont blues players from the state. So we just struck up a friendship, and I told him that he should come over to NC and I will introduce you to some pickers. That’s kind of how it all happened. I really didn’t have any real idea of getting into the business. When I met Martin I could see where musicians need help, and they need some support and someone to help and put fuel on the flame. EOAF: So, a manager is like a Jack-of-all-trades. You have to do everything, wouldn’t you say? You are the sounding board, you book, you promote, you do all of these things. EOAF: In that light, I saw that The Avett Brothers recently released their first single off of their next album. Are you involved in those types of decisions, like which single will be released, album art, song sequence, etc? DR: That’s a yes and no type of question. It differs for every act, because some acts will want our input on a certain aspect of the [process]. Like, some may want to know feedback on a single. Some may be dead set on a track listing and some may be dead set on artwork. Some will need help on artwork, and some will need help on the track list. It varies from case to case. We are and we aren’t, just depending on what the project is, where the artist is. Sometimes the artist may change where they need help, because they are so close to the project. They sometimes need help from someone that’s got a little separation from it. EOAF: In terms of an artist like Langhorne Slim, his last album, to me, was Grammy-worthy. Does it ever surprise you when things don’t get as much attention or the attention you think they deserve? DR: No, no. We are just thankful for the attention we get and we can’t sit around hoping and wishing and ‘what ifs.’ We have to play the deck of cards we are dealt. You know that album to date has sold 22,000 copies. That is a lot of records for an independent act like Langhorne. I look at all of then albums like babies. You want them to grow up and do well. Sometimes they do and sometimes it doesn’t stick. It’s hard to say what America or the world wants, and the way certain things go. You know, who knows? I have no clue. EOAF: How do you find a balance between managing all of your acts? DR: It’s hard for me to know what time is spent on what. With some of my acts, certain employees will spend most of their time with those certain acts. Of course I spend most of my time with The [Avett] Brothers, with The [Carolina Chocolate] Drops. So it’s just kind of hard to say how that time is divided up. I’m so close to it, it’s hard for me to kind of step back and see it. EOAF: Can you speak about your handshake contracts? Why does this work for you and has it ever backfired? DR: No, it hasn’t backfired and I don’t know, I just got into this business to have fun. I feel like if so much energy is spent on that kind of stuff it just sort of takes the spirit out of things. That’s not to say that you can’t have great spirit and great goodwill between two people in a contact, but I just kind of like the old thing that you get further with shaking hands than balling up a hand in a fist. Again, I don’t recommend it to other people. I just do my own thing. EOAF: What kind of advice would you give to a rising musician who is looking to get signed or looking for someone to represent him/her? DR: I would say more than anything would be to try to master your craft, and also try to realize that no matter how great you are, there’s always ways to improve. I don’t really deal with anyone like this, but I kind of sense that some artists think they are the greatest thing since sliced bread. A lot of times that’s sort of when they plateau and never kind of get any further down the road than they already are. I feel like if you are an artist who is always trying to push the boundaries of what you are doing and always trying to improve as a singer, as a songwriter, as a performer, I would say definitely master your craft and a lot of things will fall in place with that. Also, there’s this sort of sense that you’ve got to get this success right now, and I don’t feel that’s the case. A lot of times people who did have success quickly, it would be a rocket ship–as soon as it goes up, it’s coming right back down. You have to think of it more as a balloon ride. Also I always say to steer clear of the American Idol, The Voice, those kind of things. I just kind of feel like that’s all smoke and mirrors in my opinion. EOAF: Charity appears to be a big part of your business model. Why is that so important to you? Was that something that you thought of from the beginning, or has that just evolved over time? DR: That might be my family background. I feel like all of my family has sort of had that mindset. We’ve all been pretty fortunate and hardworking. My grandparents where cotton mill workers, and they were real thankful to just have a job, and they were really active in their church and in the community. I remember my grandfather, who was born in 1902–my other grandfather was born in 1900–but my Grandpa Ramseur I remember, as a kid, every Thursday he would dress up in his Sunday best and go to the hospital and just pray for people in the hospital. He’d just go room to room and ask them if it was okay if he could pray for them. He did that for years. So, I guess I get it kind of honestly. EOAF: Is there anything coming up in the near future, like the My Favorite Gifts Christmas Album, that you have in the works? DR: There might be some things in regards to St. Jude with Bob’s daughter. Hopefully there will be some things that will come from that. We’ve got a new Cheerwine campaign with The [Avett] Brothers, the second installment of The Legendary Giveback and that’s going to be pretty exciting. We are always looking at things and seeing what might work. There are a lot of things being done that no one even knows about. We are fortunate to be in a position to help. EOAF: That is awesome, and the fan base definitely takes it to another level as well. They organize their own fundraisers. I’ve seen it in action. It’s pretty amazing and inspiring, and it’s nice to know that you all have a piece in that, and that you’ve inspired other people as well. DR: I can’t speak any more highly for the fan bases that [our] bands have. We are so fortunate. I feel like all of the acts realize that they wouldn’t have the careers they’ve had without the fans for sure. That’s another thing that I think has benefited me is growing up in the hub of NASCAR. When I was a kid, Richard Petty would sign autographs until nobody wanted one, but he would always thank the fans and let the fans know that without the fans he wouldn’t have the opportunity or then platform to do what he does. We’d like to thank Dolph Ramseur for his time and contribution to Evolution of a Fan. To learn more about Ramseur Records and the artists, please visit the official website and Facebook page. I often measure music by its ability to transport me to another place, whether it be traveling back through my memories or somewhere I’ve never been. By this measure, among others, the music on My Favorite Gifts – Christmas Album is some of the best I’ve heard in a long while. Upon first listen I was transported from neighborhood streets once alive with song and spirit to the lonely muddy banks of the Mississippi, from an upbeat Mexican celebration to the birthplace of Jesus, and from a smokey Irish pub in New York City to the bedroom of a little boy too eager to sleep on Christmas Eve. Lyrically, each song touches on different elements of the season, including introspective reflection on the past, jovial celebration of holiday traditions, hopefulness, goodwill to man, the blessings of Jesus Christ, and even the role of organized religion in the commercialization of Christmas. Released last month, My Favorite Gifts brings together the musical talents and creativity of Overmountain Men, The Avett Brothers, The David Wax Museum, Jim Avett, siblings David and Jessica Lea Mayfield, Paleface, Nick and the Babes, Mark Crozer, and The Wood Brothers. This compilation leaves behind the overdone holiday standards and treats our ears to unique interpretations of those not-so-well-known songs, in addition to a few original pieces. The idea for this album was born from a conversation between Bob Crawford (The Avett Brothers) and Dolph Ramseur (Ramseur Records) on December 26, 2009. Crawford, who shared his thoughts via email, recalled the conversation. “I knew at some point we (The Avett Brothers) would be asked to be involved in a Christmas album. I wanted us to do it ourselves and with our friends first. Dolph immediately said that it needed to be a project for charity. At the time, our good friend and Avett tour manager Dane Honeycutt’s mother Vickie was fighting breast cancer. Sadly, a few months later Vickie passed away and we knew then that we were going to direct the charity towards some cancer fighting organization,” he wrote. Musicians quickly signed on to the charitable project. 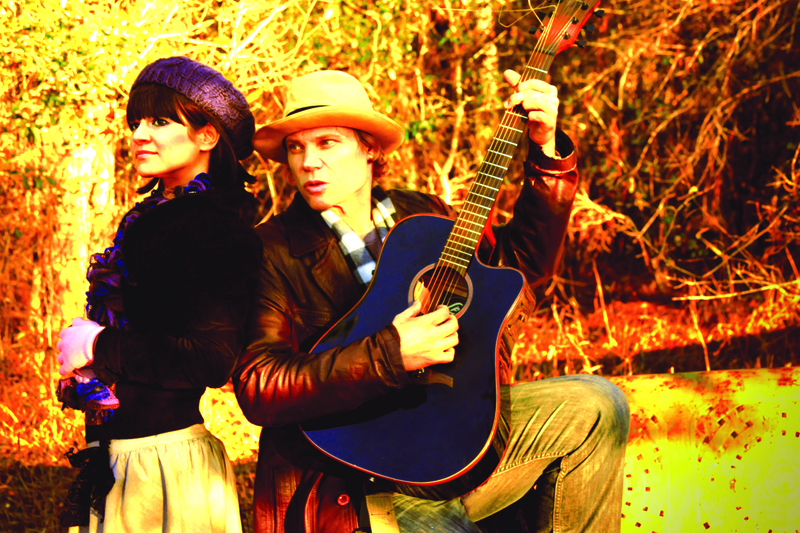 Crawford and Ramseur, who produced the album together, encouraged artists to choose songs that were special and intimate to them. This approach fostered the creation of a purely eclectic and original collection of Christmas music. When I first listened to the album in its entirety I was immediately taken by how different the songs were stylistically. Instantly, I could hear the care that was taken to choose songs that expressed each artist’s or group’s feelings about Christmas. I wondered how the artists came to choose or write their songs. To my delight and appreciation, most of the contributing musicians shared thoughts about the creative process with me via email. The creative process of writing or adapting, and recording holiday favorites for My Favorite Gifts was augmented by the fact that the album would contribute to a cause much larger than those involved. Many of the artists tied to this project were close friends to Vickie Honeycutt and remain close to her family. So it seemed only fitting when Crawford and Ramseur decided that all album profits would be donated directly to the Vickie Honeycutt Foundation. The Vickie Honeycutt Foundation, which was formed shortly after her passing, honors “a woman who served as a beacon of compassion for so many.” Honeycutt, a graduate of UNC-Greensboro, taught at Mt. Pleasant High School in her native Cabarrus County for 32 years, and was known for her caring nature and dedication to help others succeed. According to the website, the foundation’s goal is to provide assistance to “teachers and educators battling cancer so that their sole focus can be on recovery.” With charity at the forefront, several artists openly expressed what it meant to work on such a special project. Suz Slezak of The David Wax Museum echoed Mo’s sentiments. “It’s always special to have the opportunity to support causes we care about with our music. We were also touched to be included in such a stellar line-up of bands, many of whom we listen to on a regular basis,” she wrote. Mark Crozer, who is likely a new name for fans of this grouping of artists, was also very moved by the direction and purpose of the album. “When I learned that it was to be a charity album for such a good cause I was even keener to be involved. Teaching has been in my family for generations and I have dabbled myself. I’ve also lost friends and family to cancer so I wanted to do something to help raise funds for projects that support people living with cancer. I think the Vickie S. Honeycutt Foundation is a truly wonderful organization, and I’m so thrilled to be part of this project. It’s also a thrill for me to be in such distinguished company as The Avett Brothers, Jessica Lea Mayfield, The Wood Brothers and David [Childers] of course. It’s a great album and pretty diverse which makes it even more interesting,” Crozer wrote. Collectively, My Favorite Gifts is a wonderful work of art that will please the senses, revive the true spirit of Christmas, and benefit those in need well into the future. It is a Christmas album with far more substance than Santa, making it easy to enjoy all year-long. It is a must-have so please visit your local record store or amazon.com/iTunes to purchase My Favorite Gifts for yourself and your loved ones.